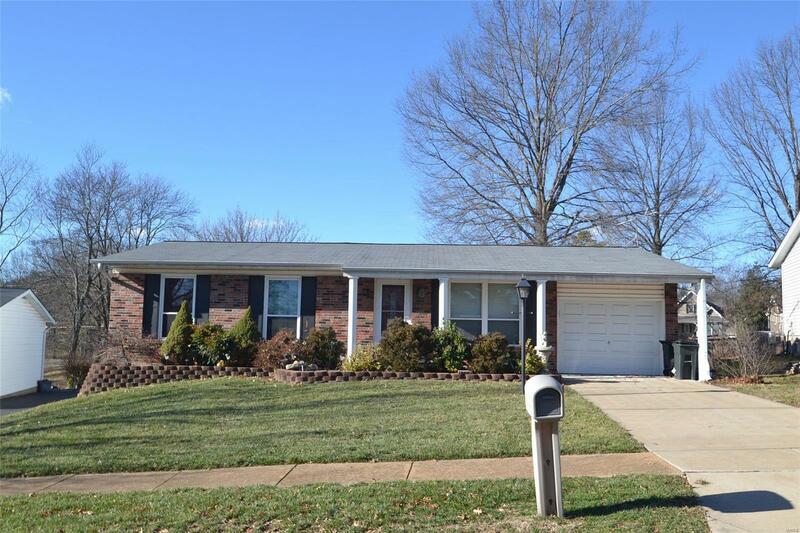 Super nice 3 bedroom ranch style home with updates and loaded with charm in AAA Rockwood School District! The perfect starter or forever home, this home has plenty of space plus offers a full walk out basement ready for you to finish! Hardwood flooring greets you in the entry at the living room, and leads to a dining area with bay window. The updated kitchen boasts 42" cabinetry, some with glass fronts and organizers, black appliances and granite counters. The hall bathroom has been updated including marble flooring. And the master bedroom half bath has also been updated. Nestled on one of the largest lots in the subdivision, there's plenty of room to enjoy the backyard here. The attached garage is over sized too! This home is conveniently located just off Bowles Avenue and Highway 141, minutes from St. Clare Hospital, Shopping and easy highway access.